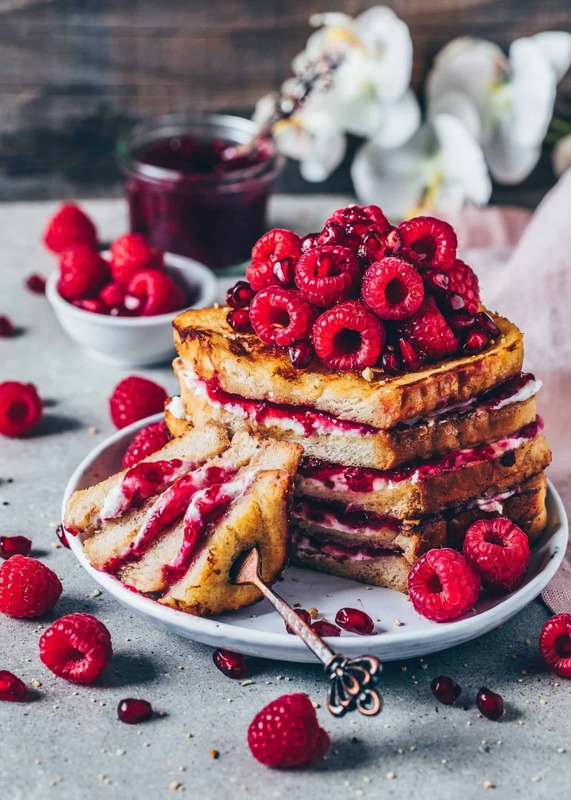 French Toast has always been and still is one of my absolute favorite Breakfast Recipes. That’s why I’ve already shared some easy French Toast Recipes here on my blog in the past. 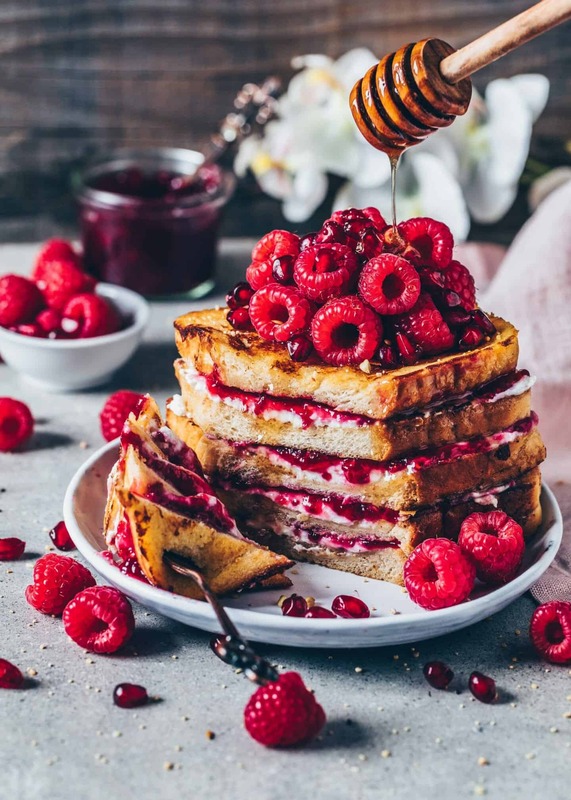 However, it was definitely time for a recipe makeover since I’ve changed a couple of things since then, turning my basic recipe into the BEST Vegan French Toast Recipe! 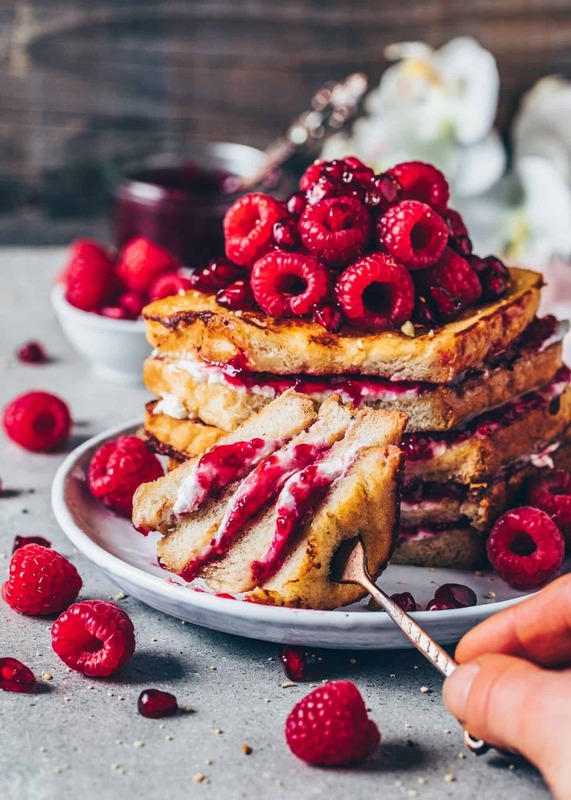 Honestly, I’ve got you covered because this eggless French Toast is delicious and made with non-dairy milk, cinnamon, vanilla, maple syrup, and gluten-free chickpea flour. 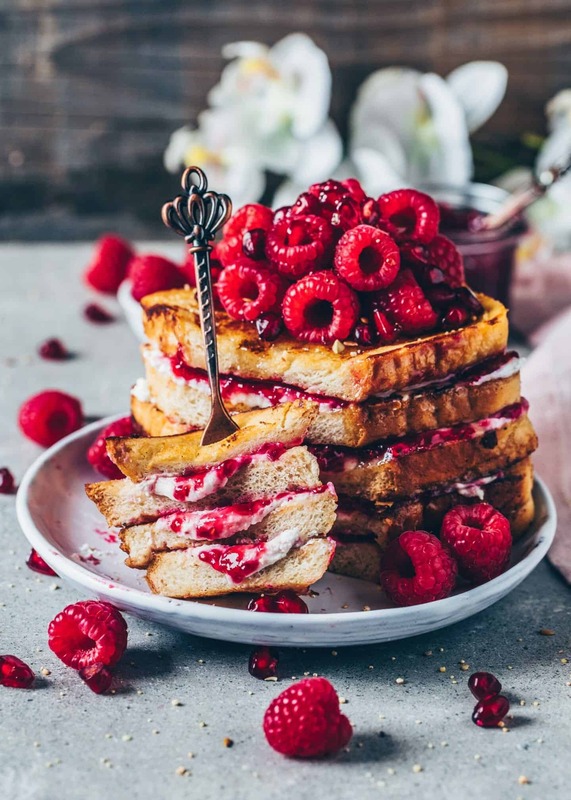 It’s really super simple and only takes a few minutes to prepare, making it a perfect sweet breakfast that’s even easier than making pancakes! 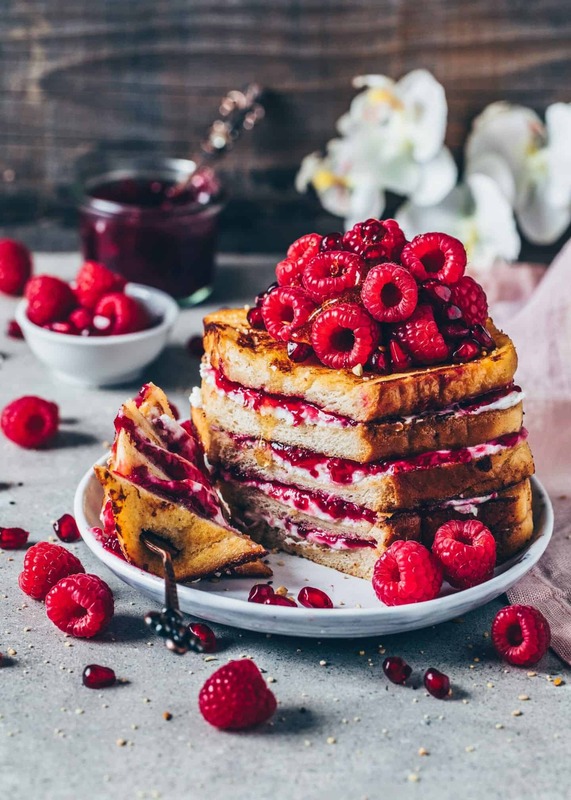 This Vegan French Toast is delicious with all sorts of toppings! You can serve it the same way as you enjoy pancakes, waffles or crepes. 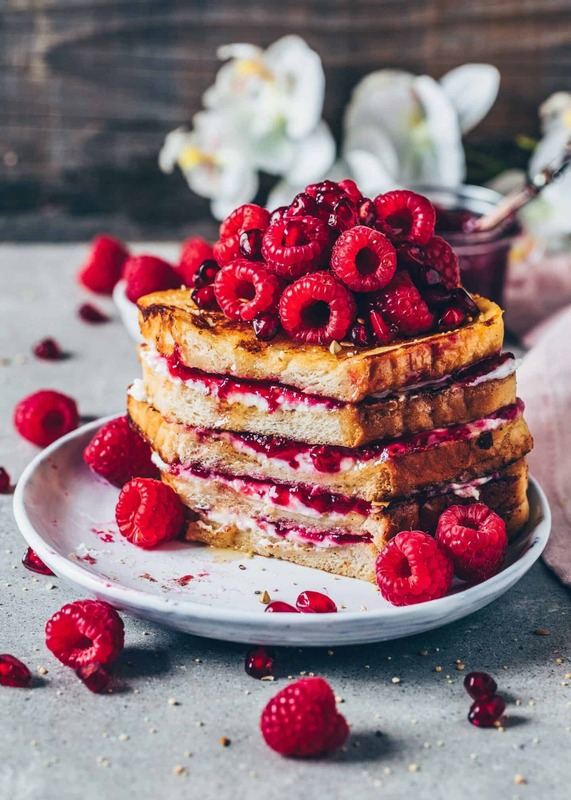 I love spreading some non-dairy cream cheese (or coconut yogurt) and mashed raspberries on top of my slices. 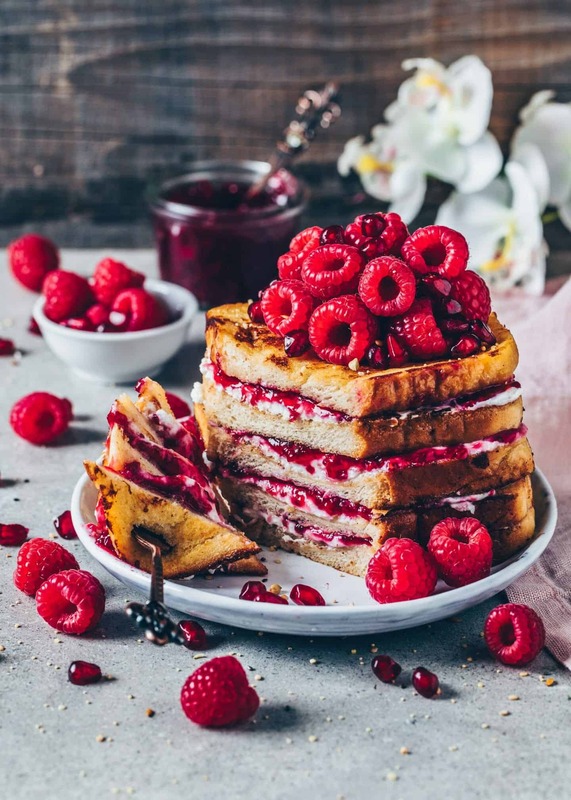 Then I stack up my slices and add some more raspberries, pomegranate and a drizzle of maple syrup on top which definitely is like having dessert for breakfast! Anyways, feel free to use any toppings and fruit you like. 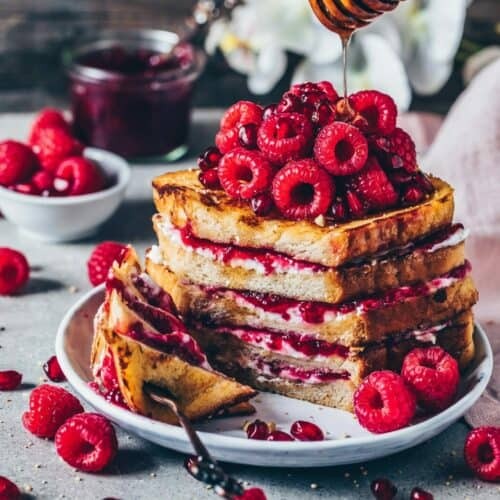 This is the BEST Vegan French Toast Recipe! It’s soft, moist, sweet, and very easy to make in only 10 minutes! 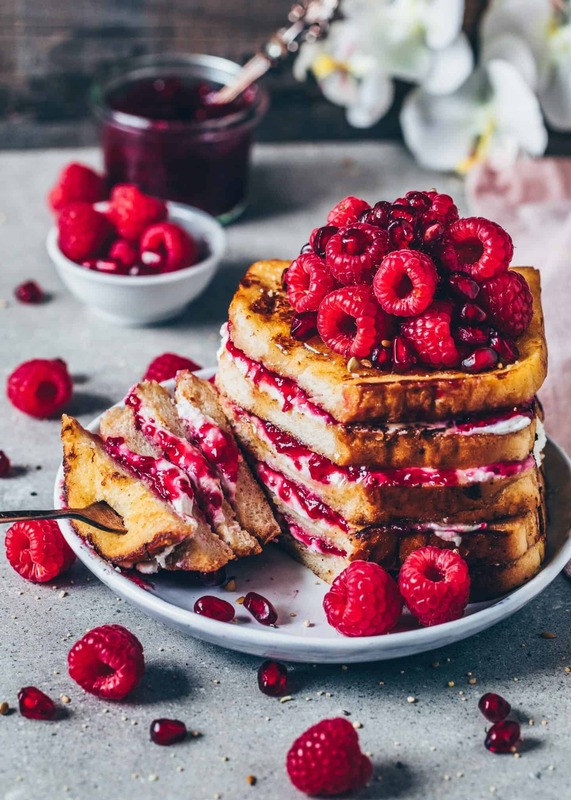 Perfect for a quick breakfast, brunch or dessert! (Gluten-free option). Whisk the chickpea flour, non-dairy milk, vanilla, cinnamon, and maple syrup together in a deep plate. Heat the vegan butter or coconut oil in a skillet over medium heat. Dip a slice of the bread into the mixture and coat well on each side. Place in the skillet and fry on medium heat for 2-3 minutes on each side until golden-brown. (If using a large skillet you can fry 2-4 slices at the same time). This Recipe can easily be made gluten-free by using gluten-free bread. 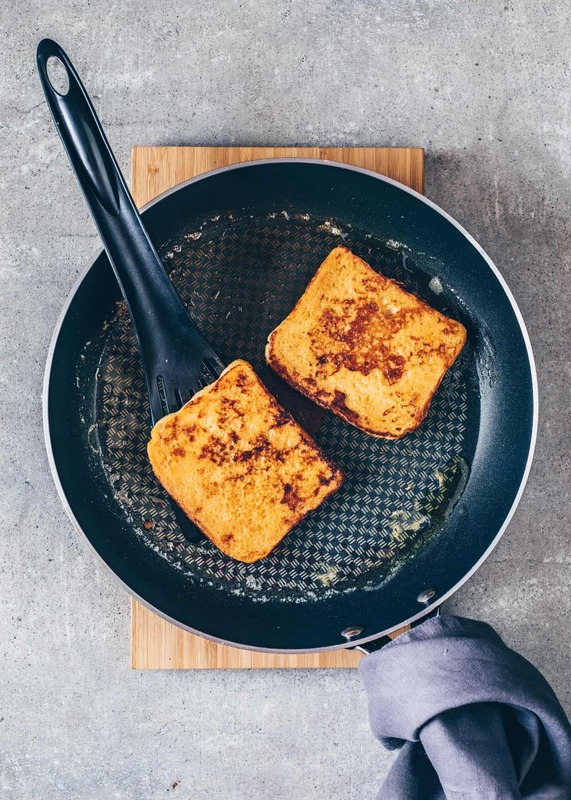 To make this French Toast reduced in sugar you can use a sugar substitute or coconut sugar. This really looks absolutely amazing, Bianca! 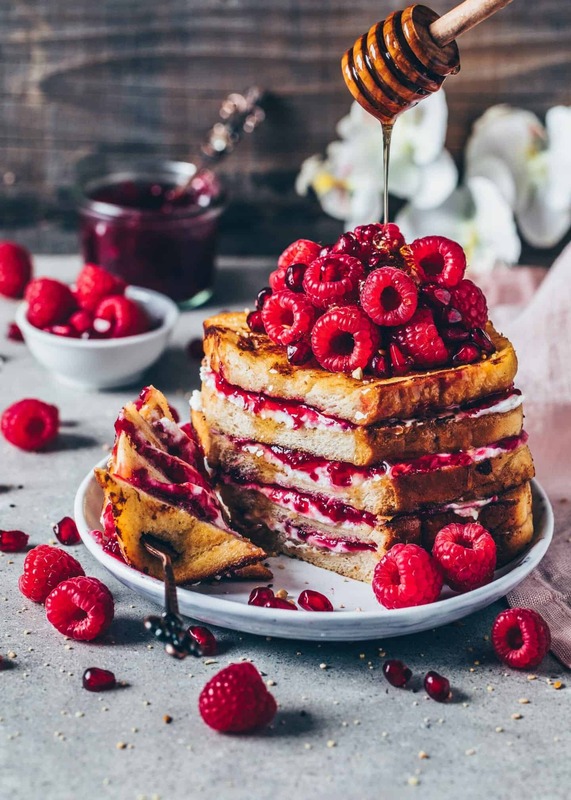 I love the photos for this French toast. It looks so mouthwatering. I wish I could devour the whole plate!